Your online shopping cart software should be designed to make purchases simpler. 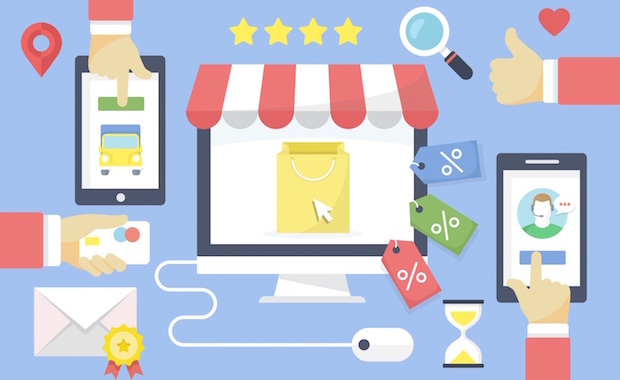 Many eCommerce stores are losing sales through an overly complicated sales process, one that is time consuming and offers too many opportunities to back out, or an experience that doesn’t inspire trust. These factors all lead to car abandonment and lost revenue. Below are a few of the many ways this can be rectified. Customers like to be in control and offering a couple of different shipping options allows them to sacrifice speed for economy, or vice versa. This small touch can be the difference between customers deciding your shipping is too expensive, or too slow, and backing out. Keep your customers on the hook by letting them know how close they are to completing their transaction. Even a short checkout process can seem interminable if you don’t know how far into it you are and can trigger a sudden decision to close the window and purchase from elsewhere. Spreading out your system over 10 pages may seem thorough and could make it easier to administrate the orders at your end of the process, but few customers will stick out a convoluted process. Limit the number of pages to between three and five pages. Every time a customer has to wait for a page to load is a trigger to abandon the sale. By streamlining your process, you are limiting the number of times a user can choose to back out. Online shopping is famous for its speed and convenience. This is often thwarted by a website’s insistence that a user register before they can complete the sale. Allowing users to purchase without registering their details will ensure they can make the fast purchase they desire, which will in turn leave them with a positive view of your site, and this experience may prompt them to register in the future. The other option is to allow Facebook log in. This short cut works for the user as they don’t have to remember yet another set of log in details, and gives the business access to their information for later promotional activities. Remove the frustration of a user clicking the back button and losing their order by implementing save functionality. This will allow them to change their minds and continue browsing, without having to remember and find everything they had initially intended to buy. Improving your conversion and limiting shopping cart abandonment is the sum total of minor details done well. With a little attention to detail you can create a shopping experience that inspire confidence in your customers and brings them back to your store time and time again.